Solar giant SunPower (s SWPRA) announced on Monday that it’s acquired a company that makes robots that clean solar panels. 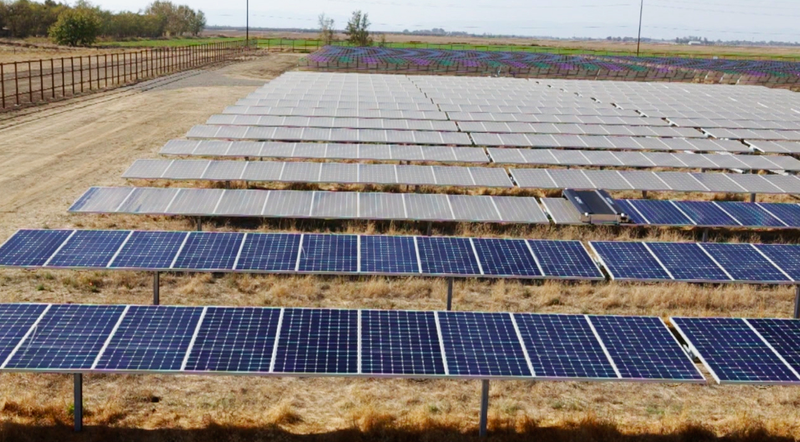 Terms of the deal were not disclosed, but the company, Greenbotics, is based in Davis, California, and its robotic cleaning products are mostly used on large utility-scale solar panel farms — the kind that SunPower develops. Dirt and dust build up on solar panels can be quite a problem for solar farms. The efficiency of solar panels can drop significantly when they’re dirty. SunPower’s solar panels are some of the most efficient — manufactured at such a large scale — in the world at a record of 24 percent conversion efficiency. That’s about 50 percent more energy converted than typical solar panels. Maintaining that efficiency at a lower cost, and with less water used, is very valuable to SunPower. SunPower already sold panel cleaning products, but it will now incorporate Greenbotics’ robotics tools into its own products. The solar robot cleaners can be mounted on various solar panel sizes, tilts and types. Greenbotics’ solar robots can clean panels with “under a half a cup of water” for each panel, which they say is 90 percent less than traditional cleaning methods. Many of SunPower’s large solar panel farms are in remote desert areas, so efficiently using water in these places is important. Regularly washing solar panels can increase the energy output of a solar farm by up to 15 percent says SunPower. Panel washing systems aren’t the only solar tech that’s becoming more efficient through robotics. Startups and big companies are looking to add robotic technology to other areas of the solar installation and maintenance set up. QBotix is a venture-backed startup that uses robots to tilt solar panels throughout the day to follow the sun across the sky. Do we know a bit more about how theses robots work? How are they powered, how long does it take per panel? Can they hop from an array to another array? How much robot maintenance is required? Would a consumer version make sense? If not would a panel cleaning service make sense? The technology is very interesting. The O&M cost of the robot itself must be factored into the cash flow for the project. In countries where hourly labor is cheap the value prop of this technology is lower. agreed. robotics may be preferred O&M option in western lands, but emerging and developing lands will see JOBS written all over this.